Playing around with Carol Ann Waugh‘s Stitch and Slash technique, I started this little block this morning on a whim. I didn’t really give too much of a thought to the fabric choices, but I definitely think its an interesting idea that I want to explore more. Last night I was pretty determined to get some sewing in after having a couple of weeks doing absolutely nothing. 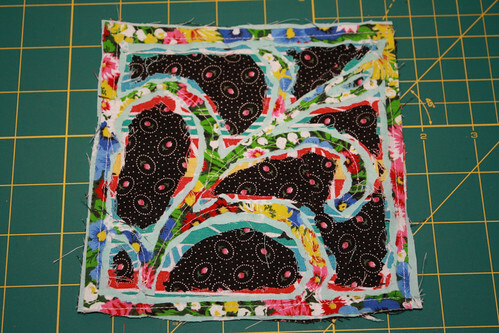 This is a project for my quilting class, it’s a Disappearing 9 Patch, in Lucy’s Crab Shack. I managed to get all the rows sewn for my 9 patches, and 3 of them assembled. This round, in an attempt to get better at matching points, I pressed all the seams open ( I generally press to the dark ). As you can see, I’m still not hitting them exactly, which is pretty disappointing – I pinned these too! Also – I made another two dozen HSTs for my back door curtain project, and tidied the studio up a bit – but just a bit. I still haven’t put my Sparkle Punch project back up on the design wall ( it fell because of the humidity when the lights were out for so long I think) , and I’m scared to move any of the pieces because it will just be harder to find the order and placement of all the units if I do. So its still in a sad pile on the floor for the moment, maybe I’ll take care of that this evening, I know its going to take forever – but its got to be done sometime. Barring natural disasters or family tragedy or work emergency or plague of locusts – I really want to wrap that one up this weekend. So its a week later. I’m still overwhelmed by work, and my studio still looks like a hurricane plowed through it. 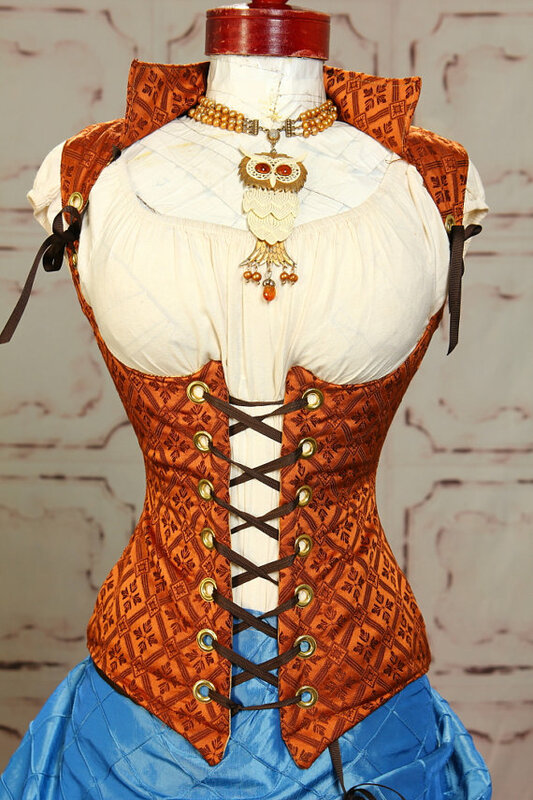 It’s probably because of the workload, but I can’t seem to get myself behind the sewing machine. 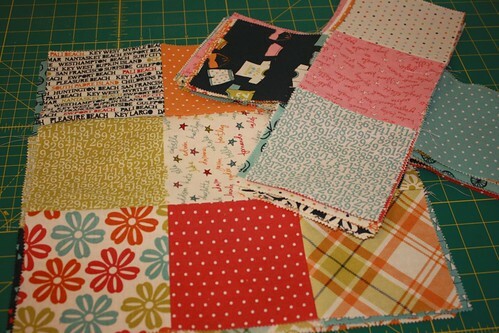 Yesterday I did press some HST’s open that were sitting on my sewing table, but that is really it. 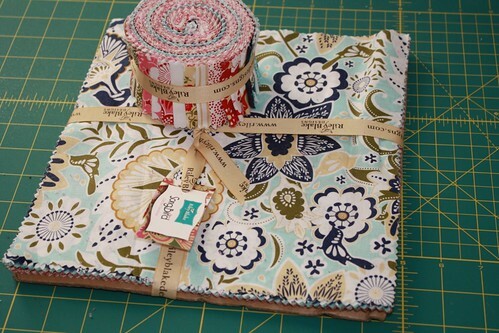 Above is today’s fabric haul – Riley Blake, Songbird. 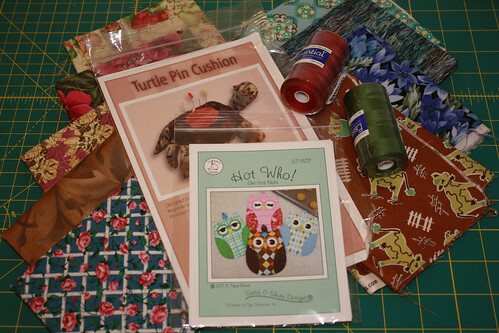 It’s some more fabric for my quilting class, but its like two projects away – who knows when I will get around to it. It’s pretty though. I haven’t had a whole lot of time to sew or work on any quilts this week because of work stuff, but today I got my first package from a Supply Swap that I signed up for. I really need to get my flat rate boxes so I can send mine out before it’s too late. I’m pretty pleased with this one though – I love the potholder pattern, and check out that green cow fabric! I will probably use these fabrics on my curtain project. I am not really sure what I’m going to put in my two swap boxes, I’ll probably dig through my stuff tonight and figure that out. I fully intended on finishing this top tonight. So I had plans to get this one finished today. 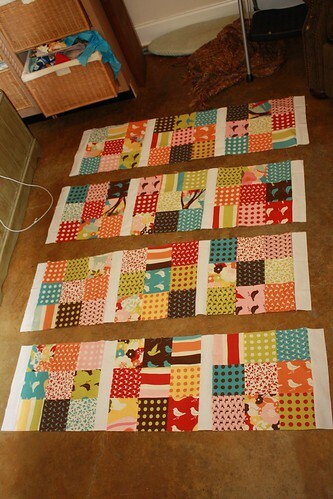 Got all the rows sewn together, and was excited to shelf it for something more interesting. But when I started the horizontal sashing, I found out that my rows were a half inch longer than WOF. Which means that I can’t use the jelly roll I had ready. So its going to have to wait until I can get more white because what I have in the Stash of Doom™ is not long enough either. Boo. 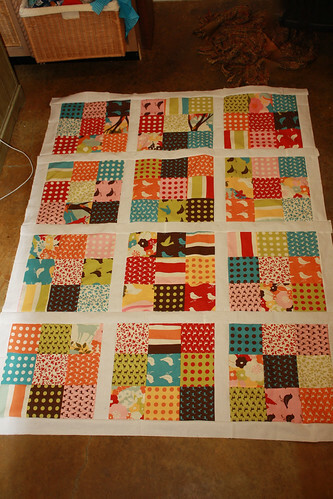 This little quilt was deceptively difficult, when it came to fabric arranging. There’s two spots that annoy the living bajeezus out of me – the polka dots that are touching each other in the first block of row three, and how there’s polka dots right next to each other in the second and third blocks of row four. By the time I realized it, I really didn’t feel like ripping seams anymore so I just let it fly.